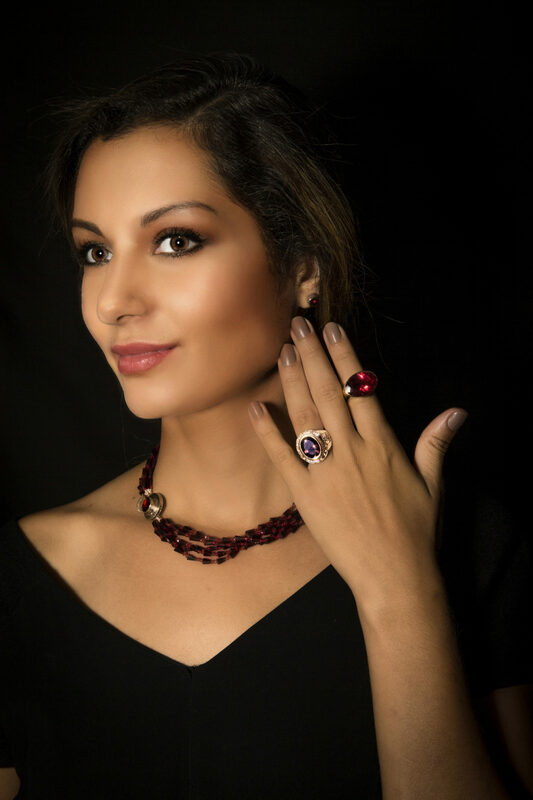 View cart “Fine red spinel & red garnet clasp” has been added to your cart. 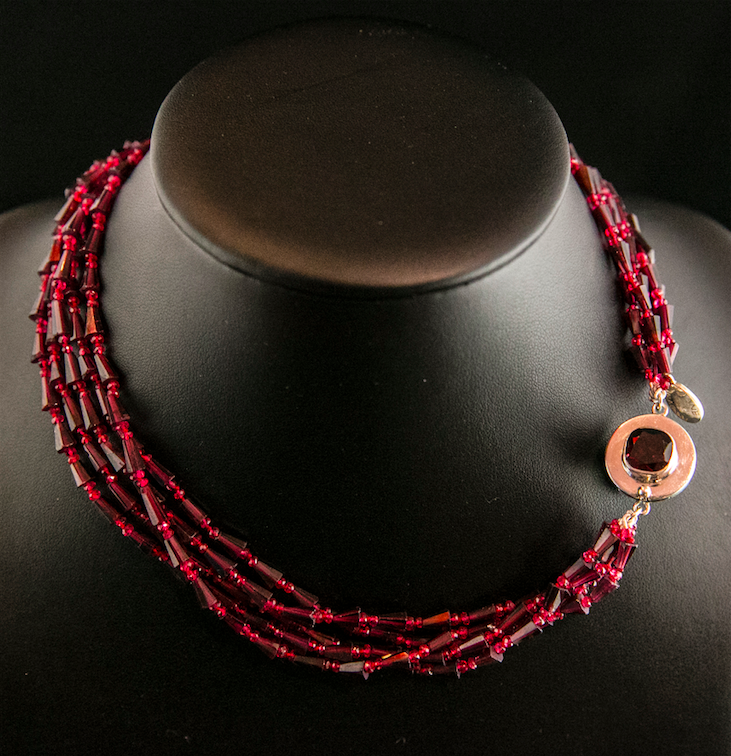 Elegant, light, 5 strands of lively, fine quality faceted red spinel rondelles & faceted red garnet bead necklace with generous, faceted red garnet (15.14 x 15.26mm) bezel set in sterling silver clasp (24.22 x 23.97mm) in a wide flat border (approx. 10mm) setting.